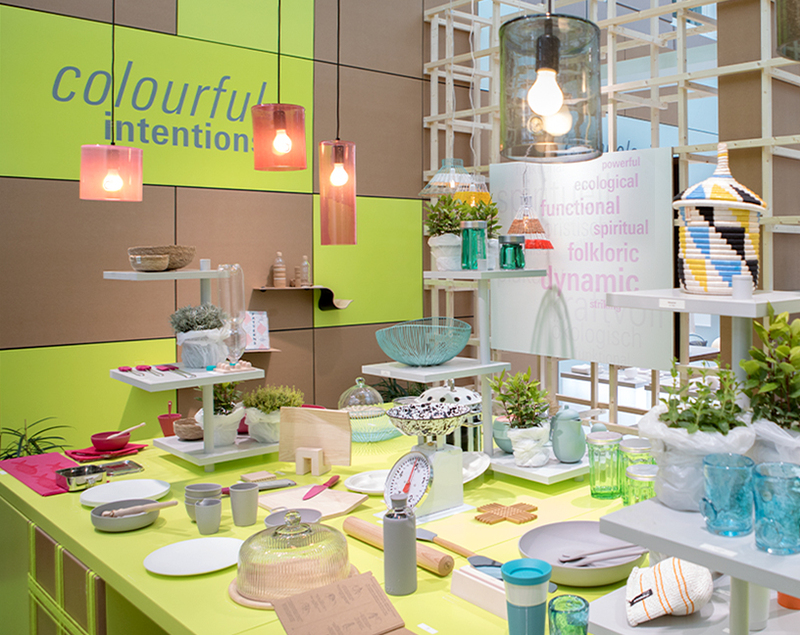 Ambiente Blog • Our most colourful intentions. 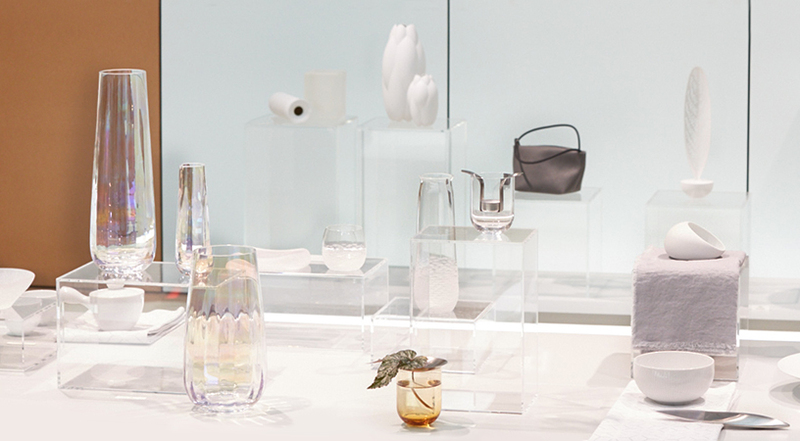 Many designers set great store by either minimising waste or using it as a resource. 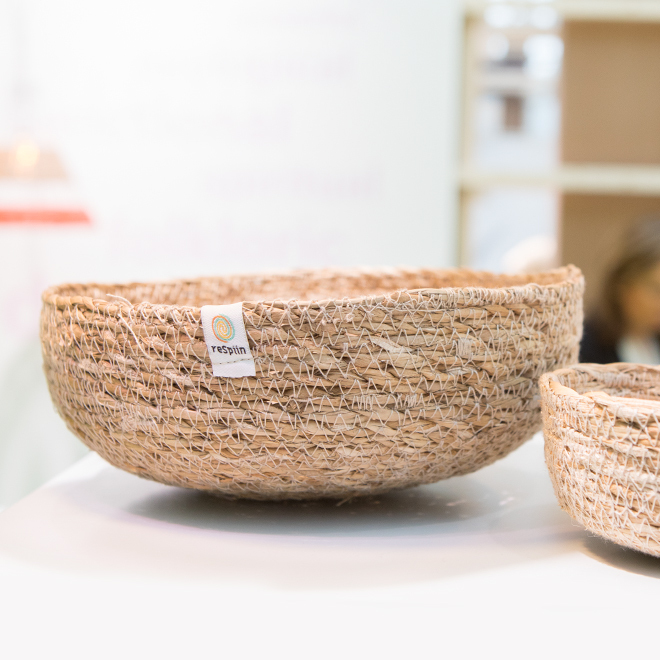 The idea of sustainability is constantly gaining in importance, while recycling and upcycling are activities expressed in ever more creative ways. Our Colourful Intentions style world shows what the new wave of environmentally committed and socially responsible interior design looks like. It’s hard to overlook the new neon brights! We’d all love to travel the world, unearthing hidden treasures in remote villages and craft workshops – the loveliest handcrafted items with their own stories to tell. And it’s reassuring when these items come from social projects, which may represent the only source of income for an entire family. 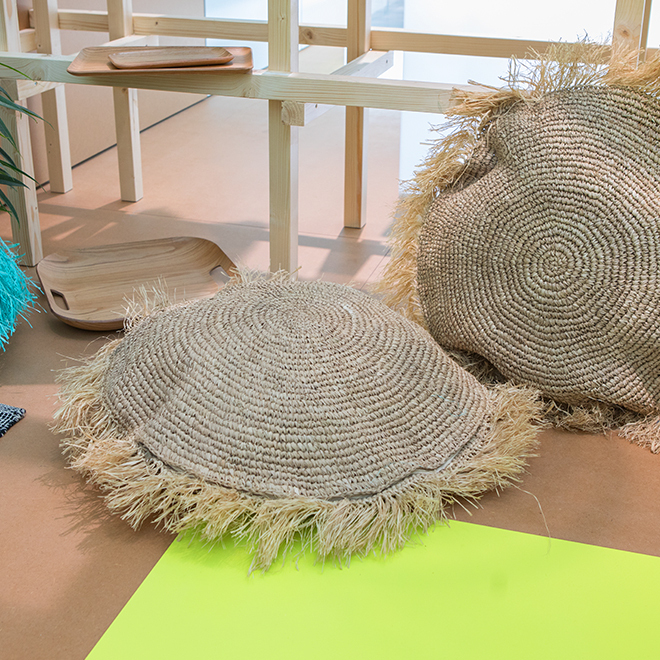 Take for example these baskets woven from natural fibres, some of them recycled. 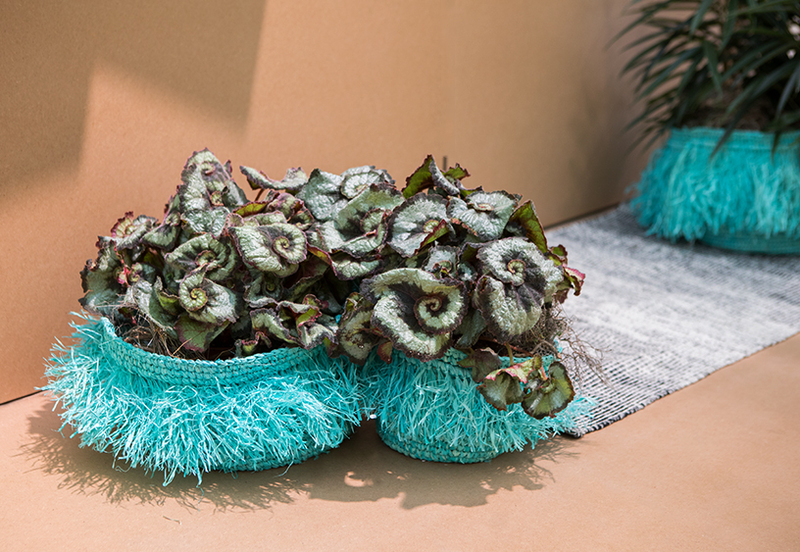 Their fluorescent fabrics and fashionable fringes make us all want to take one home. The traditional African hand weaving method makes each one a unique work of art, suitable for showing off on its own or maybe displaying magazines. These ‘kitwaro’ lidded baskets from Tanzania would be ideal for storing jewellery or bits and bobs. Some 3 billion disposable cups are used each year in Germany alone: that’s around 320,000 an hour. According to Chinese philosopher Lao Tzu, “a journey of 1,000 miles begins with a single step”: So let’s make a start on rethinking our disposable culture. 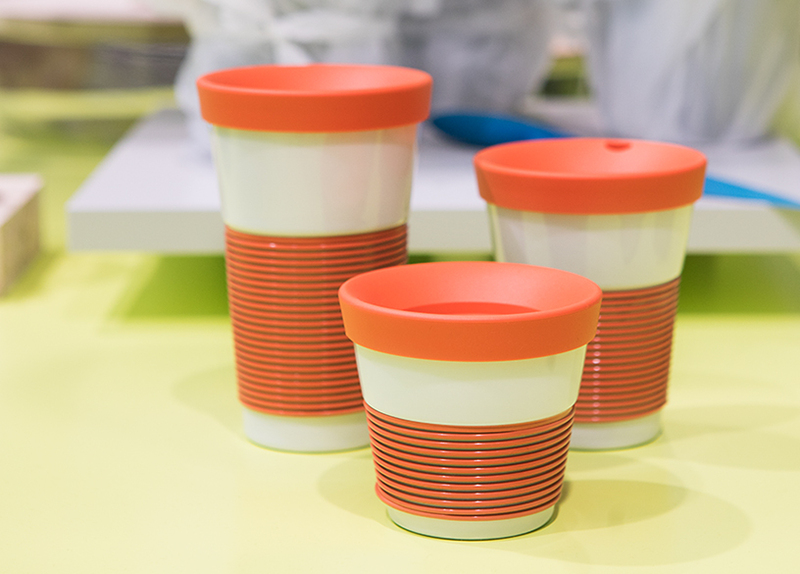 This was the concept behind designer Lisa Keller’s porcelain cup for drinks and snacks on the go. They have many advantages which speak for themselves, plus a special, easy-grip coating so they’re even easier to transport. There’s no place for our throwaway culture in the kitchen, either: Many windowsills are already mini-greenhouses for growing our own herbs. These stylish enamel pasta pans by star designer Paola Navone would look lovely in an Instagram photo alongside your freshly picked basil. 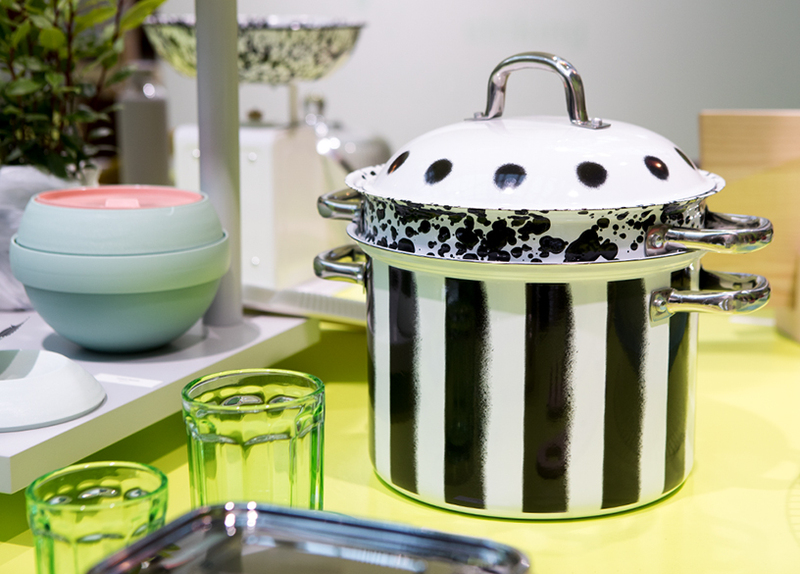 The speckled and striped designs are very smart, with a clever removable colander for draining the pasta. The latest trend is to make your kitchen look homely – and with new gadgets in retro orange and sunshine yellow it’ll soon achieve a fitting, warm and friendly feel. With weaving, quilting and bold patterns, this trend shows that you can save the world’s resources in many different ways. 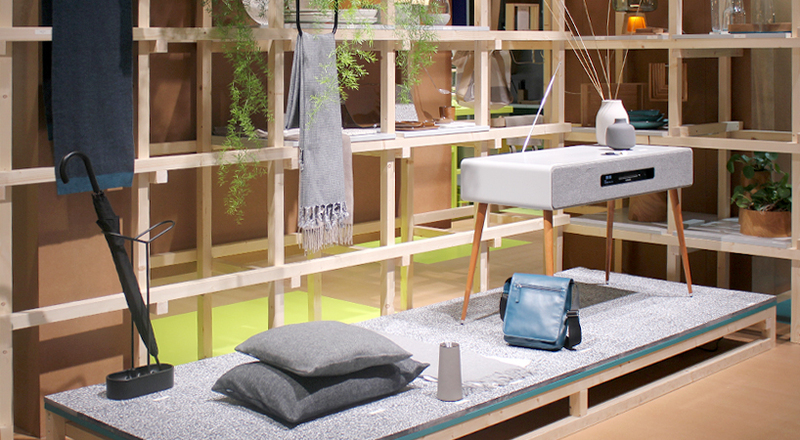 We were certainly convinced by the strong ethics behind many of these hand-crafted home accessories. They promote equal opportunities, and some – like the cheery clothes hangers – also help the disabled people who produce these things of beauty. Materials that are produced from the local recycling of paper, glass or plastics also save on lengthy transport distances. 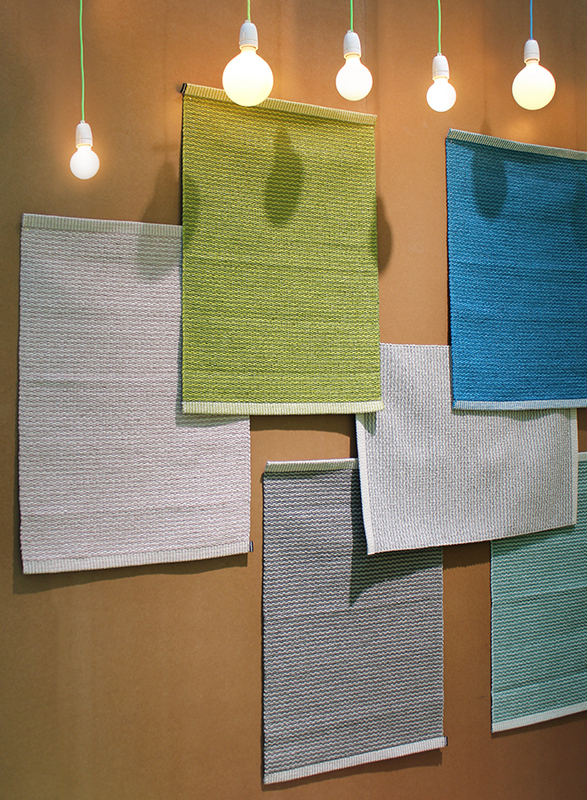 The plastic rugs from a traditional Swedish weaving mill were inspired by the idea of sustainability. 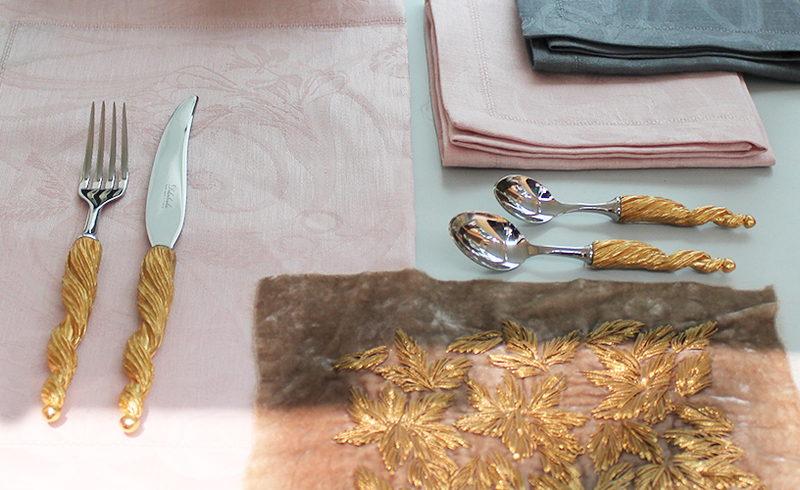 Their soft fabric is extraordinarily durable, for rugs built to last. This trend is very intense with its focus on neon shades. And why not? 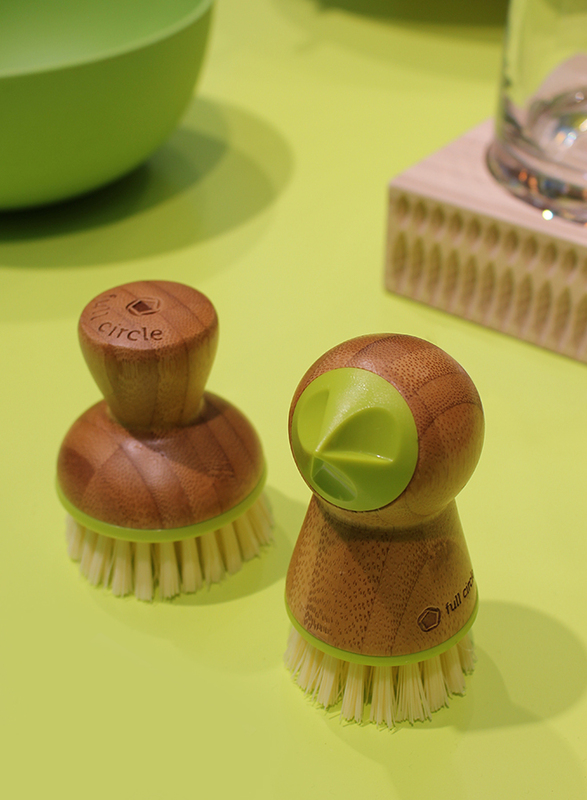 There’s certainly no need to hide the environmental commitment that lies behind these designs. We say, let’s have more of the same – let the neon brights make this commitment shine! We’ll make sure we’re wearing one of these minimalist, highlighter-coloured watches next time we work out: the time has come to make a bold statement. 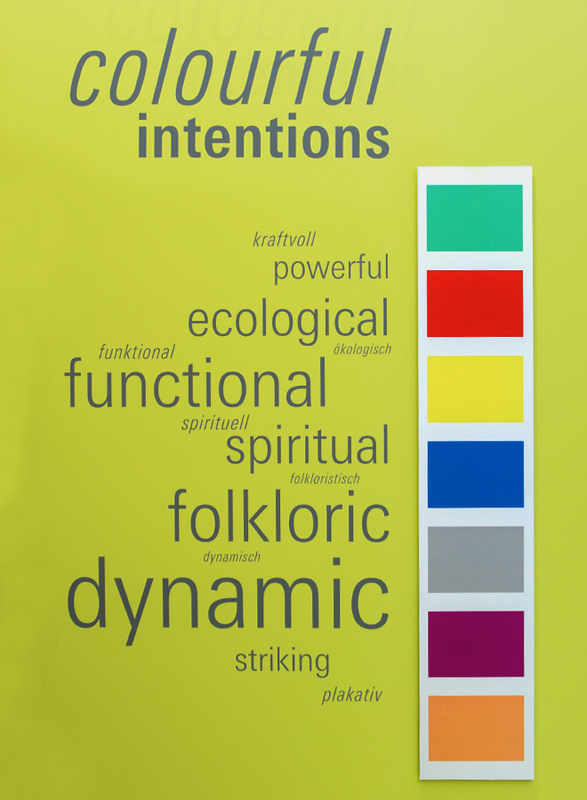 How does the world of Colourful Intentions get its message across? 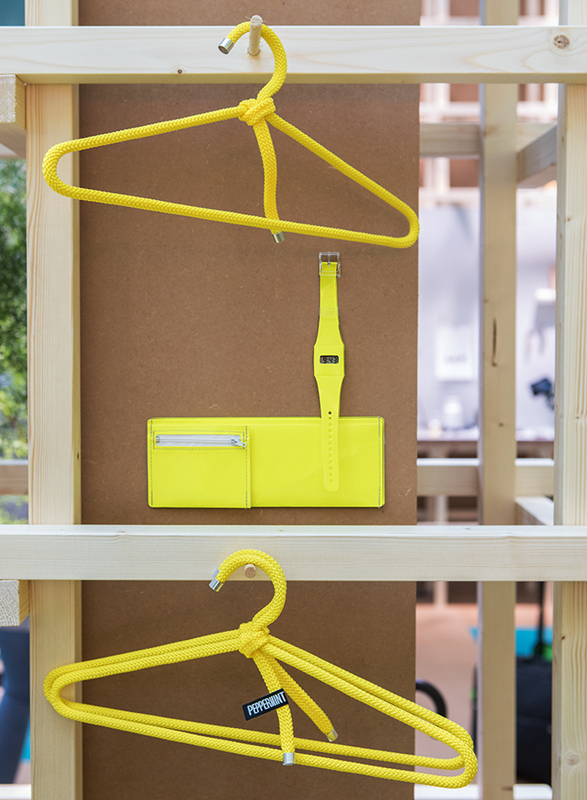 Through a bright, lively embracing of our future with a responsible, alternative choice of materials. We love the bold, unique approach. 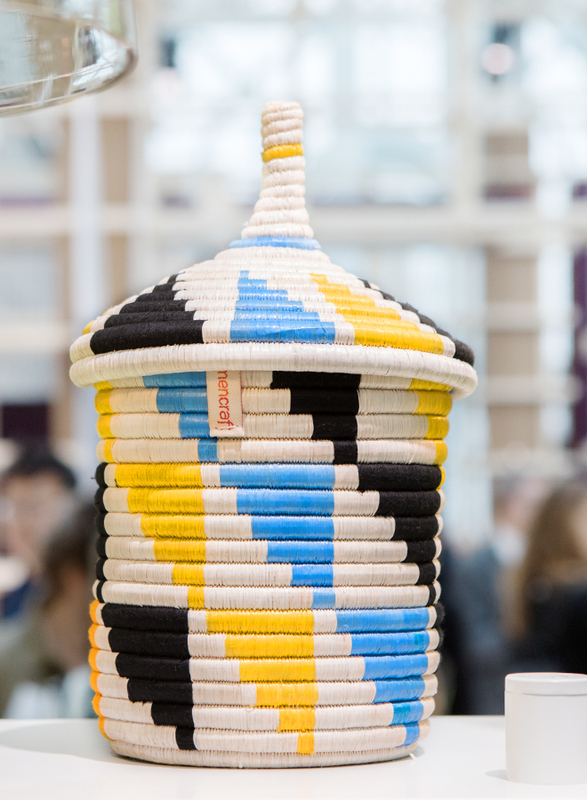 No bamboo basket or handwoven lampshade is 100% standardised or strictly drawn out with compasses and a ruler. Isn’t that a bit like life itself, where everything has its own little wrinkles?